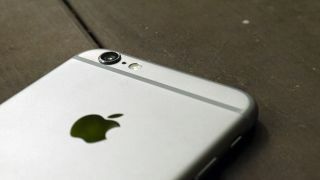 iPhone 6S camera specs: what megapixels and features are coming? The iPhone 6 camera is actually rather good – the 8MP sensor size doesn't sound like much, but a strong performance coupled with a multi-million dollar 'Shot on iPhone' campaign have embedded it in public conciousness as a 'good' camera. So it might come as a surprise that Apple's reportedly planning to upgrade the camera sensors in the front and back of the iPhone 6S. We're talking a 12MP sensor on the rear, with a much-upgraded 5MP snapper on the front, a big boost from the 1.2MP option on there now. The selfie camera would have the ability to fire the display to maximum brightness to provide a sort of illumination for the photo, something that LG experimented with on the G3 (although seems to have lost interest in). It'll be intriguing to see how Apple works this, as while being able to make the screen brighter to act as a flash seems like a good idea you won't be able to see the snap you're taking. Apple's also going to do something a bit crazy too, and this perhaps falls lower down on the rumor scale: adding in 4K video recording to its camera. This is a relatively new feature from Sony, Samsung, LG and friends, and really doesn't really add a lot beyond something to add to the spec sheet – something Apple's traditionally shied away from. This is the same brand that spent time crafting a decent slo-mo and timelapse mode for its handsets rather than adding in pro modes – but if it does go down the 4K route (which might make sense if Apple TV can handle the videos well) then something will have to be done about storage. 4K video would likely take up about 350MB of space on the phone per minute of recording, so Apple would need a way to expand that somehow – talk of a free iCloud service seems plausible, but would need a heck of a lot of bandwidth to keep it backed up and available when the user required it. It seems certain that Apple's about to upgrade the camera on the iPhone 6S, both front and back and for video, but whether it's all warranted remains to be seen.